Isn?t well-hydrated, supple, utterly alluring lashes what every girl dreams of Caring for eyelashes is a top priority as far as beauty routines go, because let?s face it: a little languid lash fluttering is a surefire way to attract attention?. And mascara is the secret to luscious lashes! Deborah Milan has been making women?s beauty wishes come true since 1962, with the first automatic mascara. Since then the brand has promised and delivered on outstanding cosmetic performance at affordable prices. As 2016 approaches, Deborah Milano is strengthening its foothold on the eye makeup market by launching three new mascaras that not only offer superb performance but are enriched with powerful lash caring ingredients: new Love My Lashes Mascara. 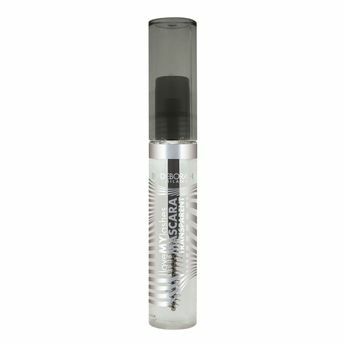 Love My lashes Mascara actually takes care of lashes with a formulation containing Hydra-Lash DH Complex, a cocktail of substances that keep lashes supple and well hydrated. Love My lashes Mascara coats the entire length of each individual eyelash in a soft, weightless film that feels incredibly comfortable no matter how many times it?s applied ? there?s no clumping or spiking. Available in three versions: volumising, lengthening and transparent. Love My lashes Mascara is every woman?s most faithful ally. Clear mascara formulated to comb and protect the lashes and eyebrows. A special hydrating complex nourishes and strengthens the lash fibres, keeping them moisturised, lustrous and flexible. Enriched with film-forming polymers that keep lashes naturally curled all day long. The brilliantly designed wand defines and combs lashes and brows for a lovely natural effect. Ophthalmologist tested. Explore the entire range of Mascara available on Nykaa. Shop more Deborah products here.You can browse through the complete world of Deborah Mascara .